I just finished reading My Struggle: Book I by Karl Ove Knausgaard. The novel sat beside my bed and traveled everywhere with me for the past month, from Asheville to Key Biscayne, Miami to Los Angeles, and West Hollywood back to Asheville. My son, not yet two, would sometimes look at the book and ask, “This man?” Karl Ove’s intense searing eyes looking back at us, from the book cover, complex and mysterious, like every moment he had lived and every word he had scribed, every struggle, both significant and mundane as well as every cigarette he had chain-smoked, was written into a map on his face. “This man is Karl Ove,” I would say almost proudly, with an air of he is someone important, just one of the greatest writers of the twenty-first century! Eventually I would just hold up the book for him and say, “Who is this?” and he would say, “Karl,” as if Karl was a good friend of ours. It never ceased to amuse me. In winter, the garden appears dormant, dry, barren; unsure of its identity. When earth tips on its axis and rays of sun feel furthest from all living things in the northern hemisphere, I anthropomorphize the grown over bark and rust and ash colored land; unearth it’s deeper emotions of melancholy. In “The Waste Land” T.S. Eliot wrote, “Winter kept us warm, covering/ Earth in forgetful snow, feeding/ A little life with dried tubers.” Hibernation may be the mask worn by desiccated vines and withered limbs, but a garden in winter, even a neglected one, has a rich inner life. 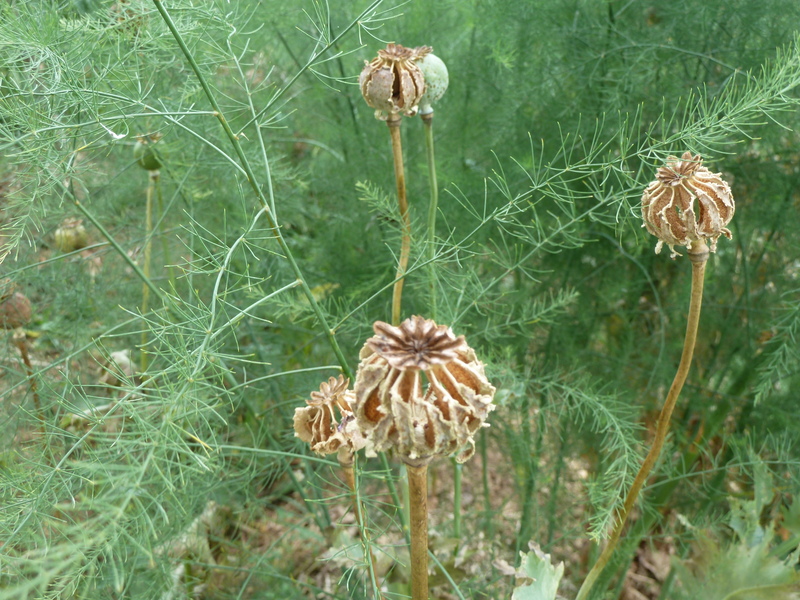 “Poppies sowed themselves among dahlias; the lawn waved with long grass; giant artichokes towered among roses; a fringed carnation flowered among the cabbages.” After the Ramsay’s garden, in Virginia Woolf’s To the Lighthouse, is abandoned for ten years, it takes on a wild, independent, fertile life of its own where plants have the vigor to break through the foundation of the house; the garden endures, even if all the characters of the novel do not. 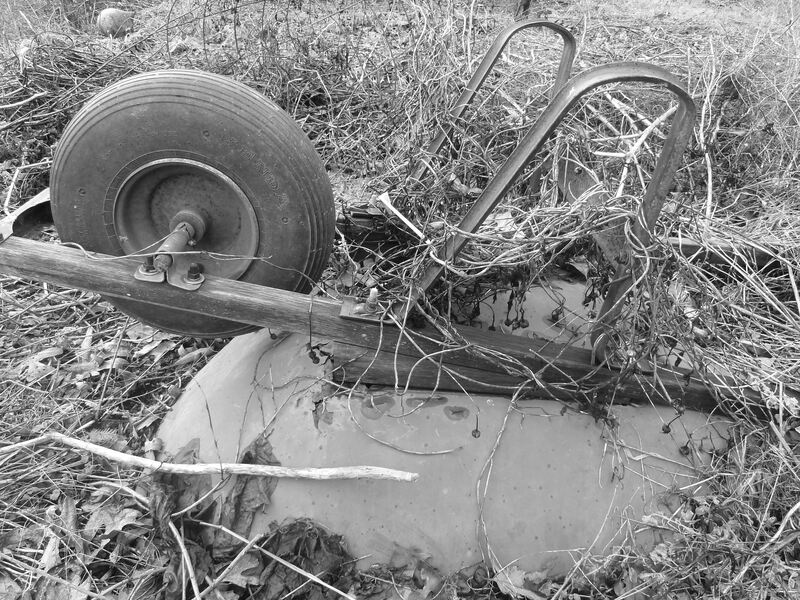 At the center of our garden, like a found art sculpture, our wheelbarrow with its faded matte paint and rusted hubcap is being swallowed by rambling plant matter I can no longer identify. 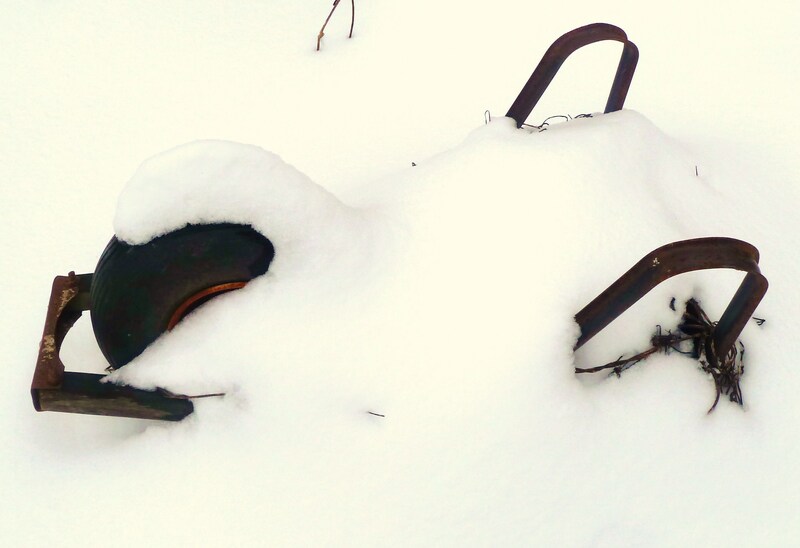 I find this utilitarian object, defenseless to the elements, beautiful. I look at it for several days in a row and know I want to photograph it. One day it is buried by snow–most of its red covered in a blinding white, another day the gloss of rain turns it a youthful scarlet. On the day I first photograph it, it is dry and cold, unable to absorb warmth from the sun that lights a much awaited clear day, a whopping twenty degrees Fahrenheit. 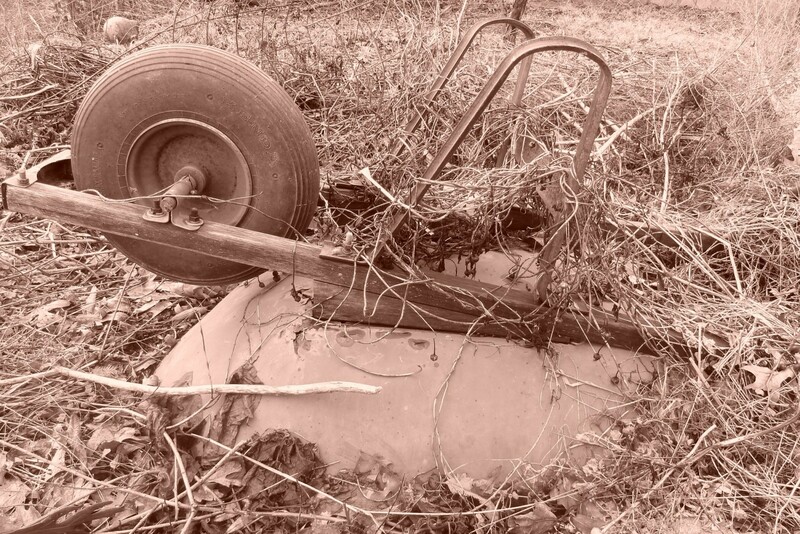 Every time I look at the wheelbarrow, it reminds me of William Carlos Williams’, “The Red Wheelbarrow.” How could it not? My wheelbarrow must be a distant relative of Williams’ wheelbarrow. At the very least, mine has similar aspirations. I foresee it aiding chickens on their adventures through life in the near future. 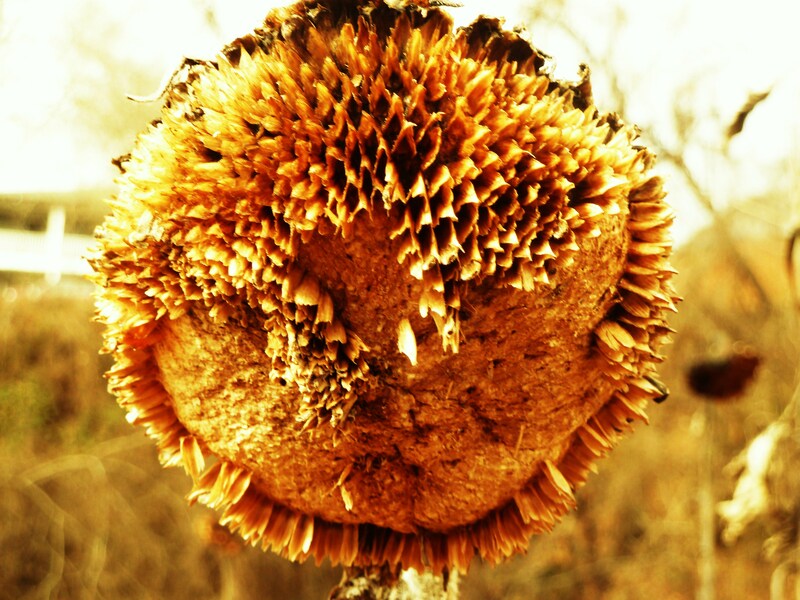 On a winter walk through my neighborhood, I pass two long rows of weathered sunflowers in an open field. 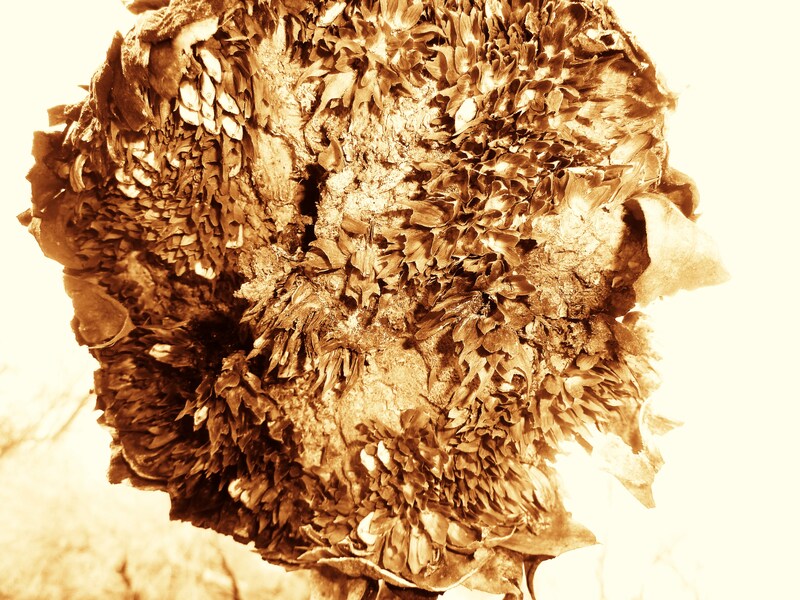 I find this eccentric bouquet, that never was, stunning; brown and dry, they’re relics that have frozen in time and space. Surprisingly, only one crown has fallen to the earth. A few seeds still cling to their birth place, but most have been swallowed by scavengers or buried in the ground. Sunflower babies are likely by summer. The ghost of Ginsberg right here among the “battered” sunflowers. I can see Ginsberg and Kerouac giving poetic sermons to one another dancing and weaving between the rows of dead sunflowers for emphasis, “corollas of bleary spikes pushed down and broken like a battered crown,” still so young and so very alive. I say goodbye to my dear winter compatriots, continue walking, while they are mid-epiphany in the “shadow” of the Southern Pacific Locomotive. The train tracks near my home, near these sunflowers, were built by prison laborers, chain gangs most likely, in the 1880s. 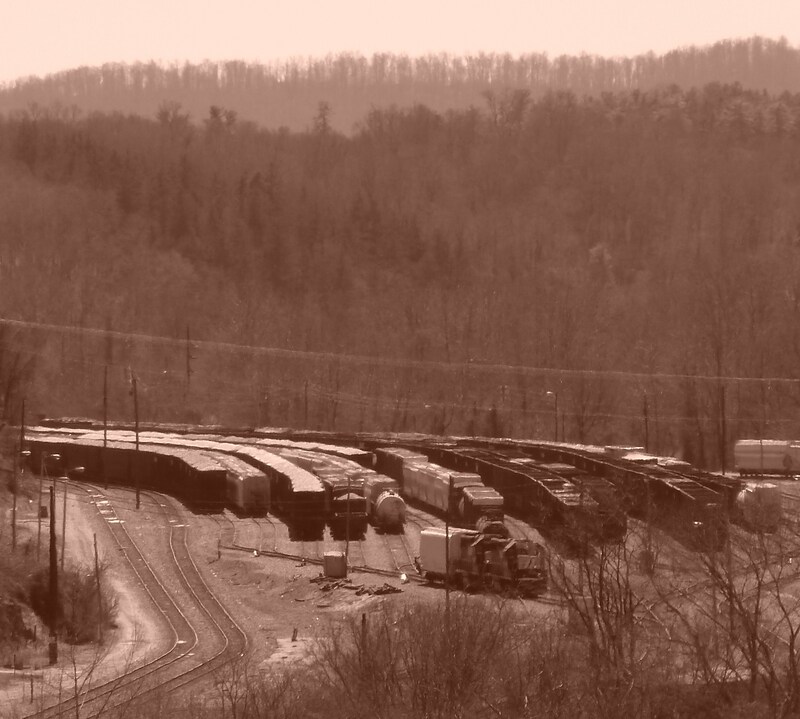 Coal, a frequent commodity transported on the route today, sits in large mounds like mysterious dirty black rocks peaking out from multiple wagons, quivering with the harsh vibration of each track. 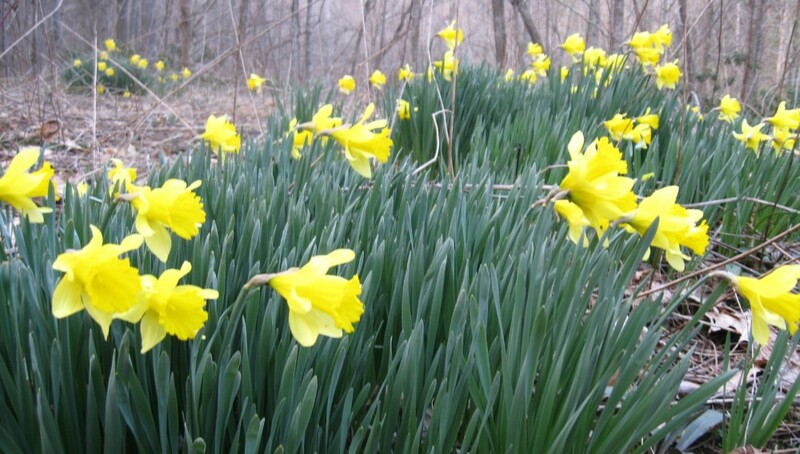 Pre-spring daffodils, the antithesis of winter sunflower carcasses and ominous coal, brace themselves and break through the earth forcing us to pause. Wide spread across this area in yards, gardens and forests, wild and rampant, they are often the first sign that we are tipping closer to the warmth and light we have been longing for and craving like fiends trying to appear we are fine, though so clearly in need of our fix. These common things: wheelbarrows, sunflowers, a garden appearing to be asleep, they are my fix; they must have been for Pablo Neruda as well. I look at them like works of art years in the making. These little bits of matter, complex, even ancient, awaken my senses, make me feel alive; bring the recitations of poets and novelists into the rhythm of treks in frigid temperatures. Winter begs contemplation. When the skeletal outline of trees find you edging toward melancholy, wear your fake fur and feathers, step outside and take stock of the world when it is still possible to see the subtle nuances that get buried, lost, by the lush, flamboyant festivities of spring. unwashed hair, thick and matted. the weeds burst forth into a jungle for small children, groundhogs and moles. between the Amish pastes and brandy wines. and the sun bakes what is left in its lurches. even for a minute, feels like a forest fire on the flesh. by the sensation of heat against my largest organ. Finally the sky opens up at various intervals. and sparks of lightening come one after the other like fire bursts. topple over with the height of their flimsy stilt bodies. among a tribe of males. We have collectively begun to recite the words: forsythia, azalea, dandelion, violet, with frequency, articulating and accentuating the rhythm of each syllable. The pleasure of these recitations mirrors the pleasure of seeing such shocks of yellow, such delicate purple eyes peaking shyly from between blades of grass. When the rhythm of this symphony begins in pianissimo and crescendos to more complex layers, empty spaces left from winter begin to fill in with newly open unfurling. The landscape becomes dense with greens and green-golds of many gradations and radiates, pulsates with electricity that is even more magnetic during gray dizzily days in April when just a bit of white rays penetrate through an epic silver sheath. Spring moves like an avalanche defying gravity, ascends from the snake-belly earth upward, until it scales the final points of the tallest trees. The land goes from blank canvas to impressionistic masterpiece in a matter of months, as though painted by the hand of a luminist. From a distance, pixels of dogwood, weeping cherry, red maple and redbud become whole and dot the foreground with an ethereal ballet composed of many arms and branches, bodies entwined, lips and cheeks rouge, warm, ruddy, the color of skin embraced for a long time after being released, finger marks still imprinted, cotton candy tutus, white stockings. The ephemeral nature of each petal only makes us covet them more. We can’t stop looking, lest they are gone the following day; a hard spring rain may pull down their tresses and almost instantly they would be finis, the symphony of voices subdued to a mute Greek chorus, at least until the season’s next bloom du jour. We also must taste this symphony just before the crescendo, while we are still hungry, when each bite leaves us wanting more and more is not always easy to come by. 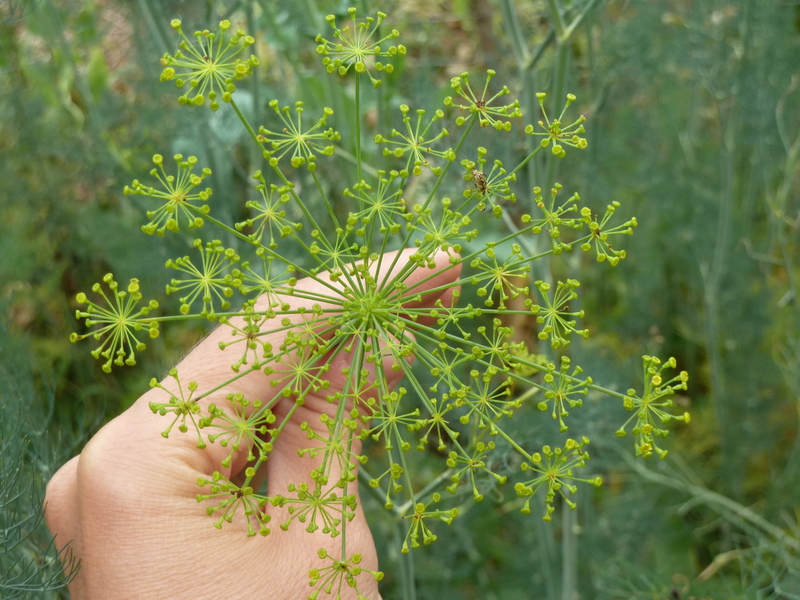 Food in the garden is still sparse, but we feel grateful for what is ready to be eaten and let nothing go to waste, not a single crown of asparagus, not even the fibrous and stingy base we will use for stock. 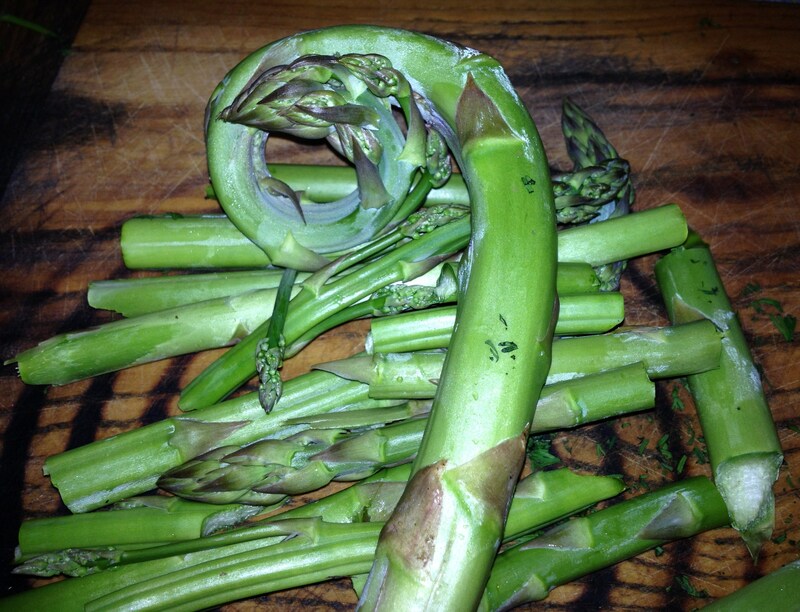 Each day several new asparagus poke out of the earth and point toward the sky, as though reminding us to look up. After I cut below the earth to the base of the stalks, I raise my eyes toward that moody spring sky that casts petals audaciously in the wind, a wind that both embraces each cell of each leaf and sends the seeds that have already appeared somewhere adventurous to grow. The wind choreographs everything innovatively, but does not boast. It doesn’t have to. Everyone knows in a single breath it could sweep all this magnificence away. Garlic, one of the rock stars of the Allium family, has inspired commentary from Virgil to Aristophanes and even the prophet Mohammed. I am not surprised. Not a day goes by that I do not pinch a clove of garlic at both ends between my thumb and index finger to crack open and peel off its papery outer shell and place it into a garlic crusher. It is my general opinion that garlic makes just about any dish better. Freshly uprooted, it has a much juicier, spicier, more pungent aroma than those you find at the supermarket. At harvest time this high octane garlic is a luxury. Last July, I found out I was pregnant. 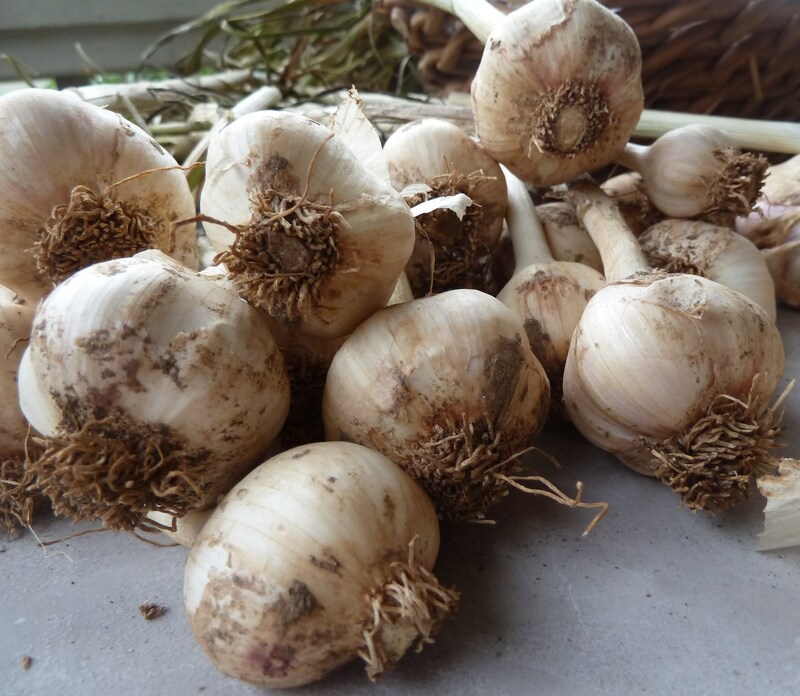 Within a month it was time to harvest one hundred and fifty bulbs from our garden (yes, we really, really love garlic). It was quickly apparent, though, that my love affair with garlic was going to be tested. To cure them, we hung each bulb by its grassy foliage on a rope we strung across a room downstairs. The aroma quickly pervaded every room of the house with a pungent stench I found completely intolerable. It was the first summer of my life sans pesto. I begged my husband not to cook with garlic. Even if I was a hundred feet away, I could smell it as if I had super power olfactory abilities. This distaste for anything garlic, unfortunately, lasted my entire pregnancy and my husband did his best to find uses for those one hundred and fifty heads while I was out of the house. Many met their fate in tomatillo and Cherokee purple heirloom salsa; some became starter bulbs for this year’s harvest. My son is three months old, and thank goodness my love of garlic has resumed. It’s as if that nine month breakup never happened. We have just harvested another one hundred plus heads of garlic and the sweet smell is making its way and once again throughout the house. This fresh garlic is the ingredient I cannot live without each night when I cook dinner. When tomatoes, basil, and garlic are ripe simultaneously, as they are now, they make one of the most perfect trinities of mid-summer. As a child, I let my incessant imagination go during solitary walks in the garden. 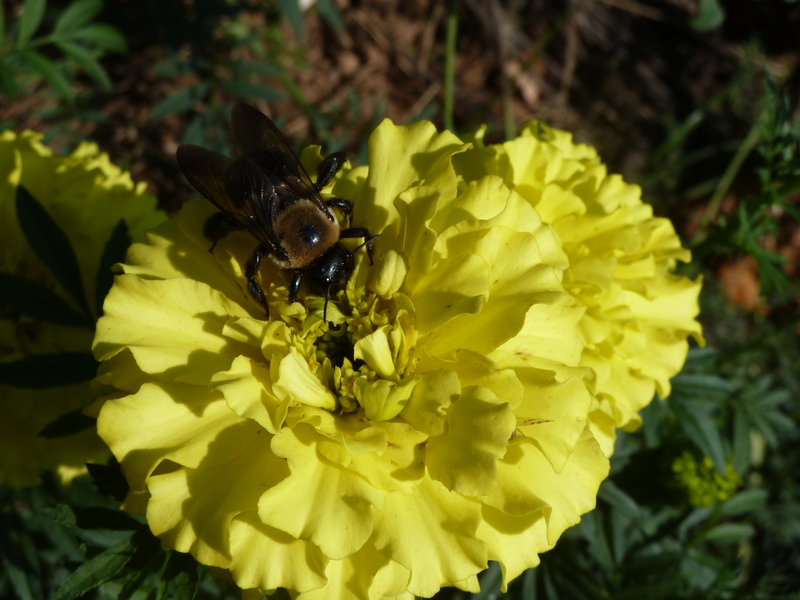 I looked under rocks for Mountain Garter snakes (I called them Red Racers), stared at flower blossoms, and observed the slow growth of vegetables for hours. Bleeding hearts were little girls with pink hair and pigtails and green button squash were flying saucers. I was enamored, too, by volunteer species like the velvety cotton leaves of mullein, running my fingertips over them in the sunlight. We had an impressive garden with mature apple trees that were, lucky for us, there when we bought the house. I’m not sure what type of apples they were, but one tree bore sweet yellow, slightly spotted apples, which looked like they had been marked with the tip of a pencil. The other had tart, light red apples with swaths of unripe green. Both were a little smaller than your average store bought apples. We did our best to pick them, eat them, and turn them into applesauce and apple butter before they met their fate under the tree, rotting and turning beige and soft as if they had been baked. We also had a cherry tree that bloomed idyllic white blossoms, but never bore fruit, in addition to an apricot, fig, and plum tree, which my father incorporated seamlessly along side paths that bordered swaths of vegetable beds on our one acre. There were also small purple and green grapes that grew up the fence that ran down the periphery of the backyard. I loved to pick stainless steel colanders full of these bittersweet jewels for the whole family to share while contemplating the life cycle of a raisin. There were always a few shriveled and parched, still clinging to vine, just not able to let go. My father used to make a delicious, aromatic spaghetti sauce with generous amounts of fresh oregano and rosemary and a hint of red wine. 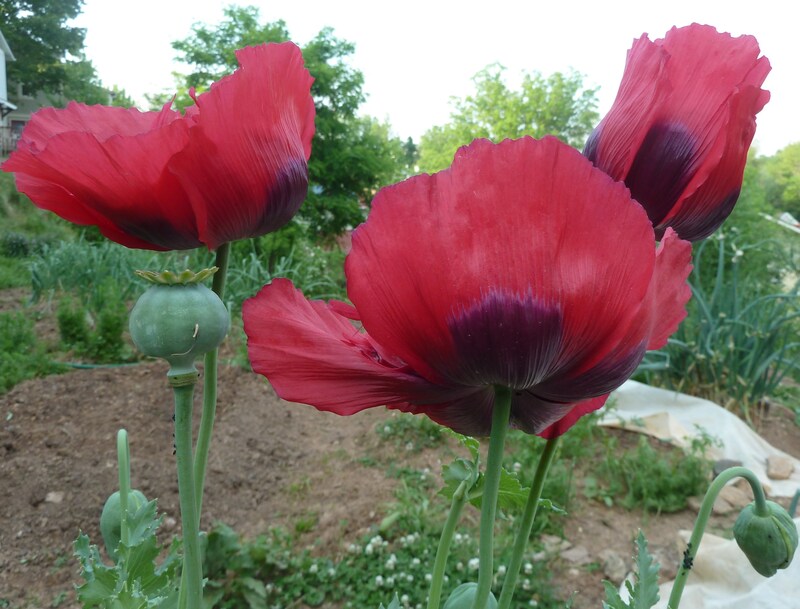 One day while working in the garden with him, he squatted next to our herb garden, closest to the rosemary and took a deep relaxed breath in with his eyes closed and said, “Mara, smell that,” in a state nearing ecstasy. And I did, mirroring the drama of his deep breath in through my nose, simultaneously gaining an appreciation for nature, homegrown food, and family in one deep whiff. My first garden was not just the landscape of my childhood, but more like a family member, complex and vulnerable and beautiful in the way people are. Perhaps gardens for me are what Madeleine cakes were to Marcel Proust (more specifically the narrator of Remembrance of Things Past). Tasting or even seeing a lemon cucumber or spaghetti squash can take me back to the long summer days in the Sierra Foothills of California, and the abundance of fresh fruit accessible to us all summer, the multitude of melons at our fingertips, trying each and every one throughout the season during our elaborate picnics in the front yard. The juice of each melon, cantaloupe, Casaba, Crenshaw, honeydew, Juan Canary, and of course watermelon, dripped down our arms in a sweet sugary tributary that dried glossy in the sun. Today we live on just a quarter of an acre, which we mostly use to grow food, in the modest, but vibrant, city of Asheville, North Carolina. Our garden is urban. The sound of traffic can be heard while we pick okra, Cherokee purple heirloom tomatoes, strawberries, blueberries, figs.